Cornish law firm Coodes Solicitors has joined Fifteen Cornwall and the Cornwall Foundation of Promise, the charity behind the restaurant, as company secretary. Peter Lamble (Partner Coodes Solicitors) with Dave Meneer (CEO Fifteen) on Watergate Bay with Fifteen trainee chefs Andrew Danks and Jake Joynes. Through the foundation, Fifteen Cornwall provides funding for up to 20 young chefs to complete a year’s training course at the high-profile Jamie Oliver-inspired restaurant at Watergate Bay. As company secretary, Coodes will be responsible for looking after the legal issues for both organisations, reporting to the board of trustees and shareholders. The firm has set up a separate limited company to oversee the roles and potentially roll out the service to other charities and organisations. Jonathan Wilde, commercial solicitor at Coodes, said: “Fifteen Cornwall has enjoyed phenomenal success and has firmly helped to put our county on the map, but it’s easy to forget that that the restaurant is in fact backed by a charity. “The Cornwall Foundation of Promise provides the all-important funding to train the chefs at Fifteen Cornwall and the inspiration to young people to learn about hospitality and catering. “We’re therefore delighted to be involved with both Fifteen Cornwall and the Cornwall Foundation of Promise and ensure they receive the best legal support. 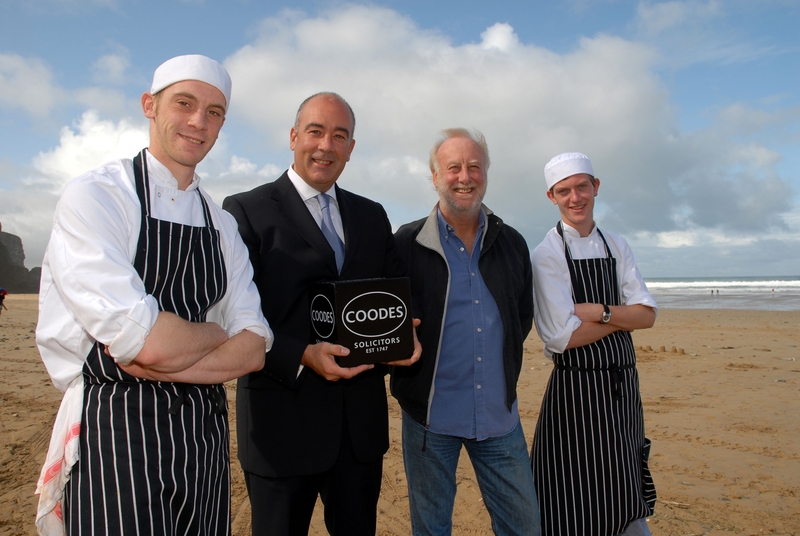 Dave Meneer, CEO of both Fifteen Cornwall and the Cornwall Foundation of Promise, said: “Coodes has a superb track record of working with charities and the expert legal knowledge to guide both our business and our charity. As well as the Cornwall Foundation of Promise, Coodes supports Age Concern in Cornwall and the Isles of Scilly, the NSPCC and the ARC Addington Fund. Contact Coodes on 01872 246200, www.coodes.co.uk.